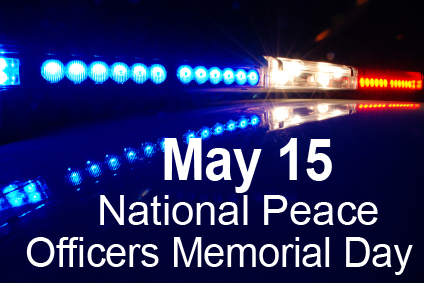 Peace Officers Memorial Day and Police Week is an observance in the United States that pays tribute to the local, state, and federal peace officers who have died, or who have been disabled, in the line of duty. The Memorial takes place on May 15, and Police Week is the calendar week in which the Memorial falls. Much of the holiday centers on the National Law Enforcement Officers Memorial wall in Washington, D.C., whose walls feature the names of more than 21,183 law enforcement officers who have been killed in the line of duty.